Half the fun of going abroad involves shopping for gifts and souvenirs that you can bring back and hang on the wall or give to friends and family. Some people may spend the entire vacation looking for that one perfect memento of their time spent on vacation, while others will have to settle for a mediocre gift like a shot glass or picture frame. Certain countries have a wealth of material or cultural artifacts that make them the best choice possible for a vacation gift. What rank as the coolest? Swordmaking has been an art in Japan for centuries, with secrets of steel and forging handed down from master to apprentice and jealously guarded. Each katana has been folded no less than ten thousand times, so that when the metal has been tempered it’s capable of breaking through concrete. These swords aren’t just weapons, they’re pieces of art, each bearing a decoration on the hilt, blade, and scabbard unique to its maker and bearer, with vibrant colors and fascinating geometric designs. If you want to look the part of a samurai but a real sword won’t fit in your suitcase, worry not: samurai carry a second smaller sword only about the length of your forearm called a wakizashi. 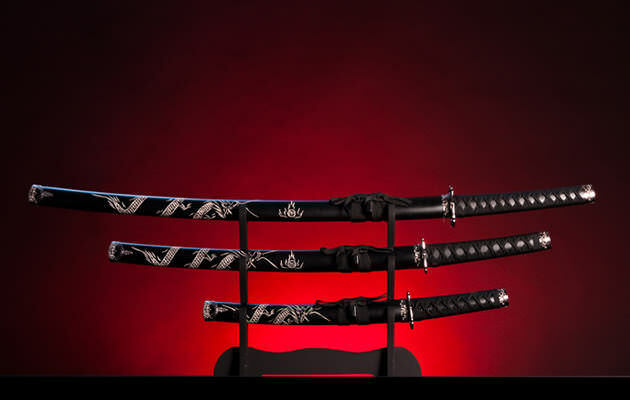 Those who visit Japan can come back with a souvenir wakizashi commemorating the long history of Japanese swordsmanship that fits neatly in their suitcase or pack. These swords are usually sold unsharpened to tourists for safety’s sake, but you can purchase a wakizashi capable of slicing a watermelon in one blow as well.